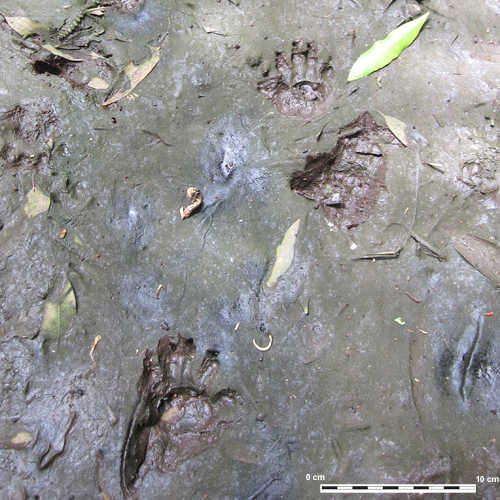 Possum prints in soft mud. The hand-like forefeet prints are readily recognised (bottom centre-left and top centre-right) but the hind foot print (below the bright green leaf) is smudgy. The hind foot placed just behind the forefoot on the same side is characteristic. Photographed in the Kaimai Range.